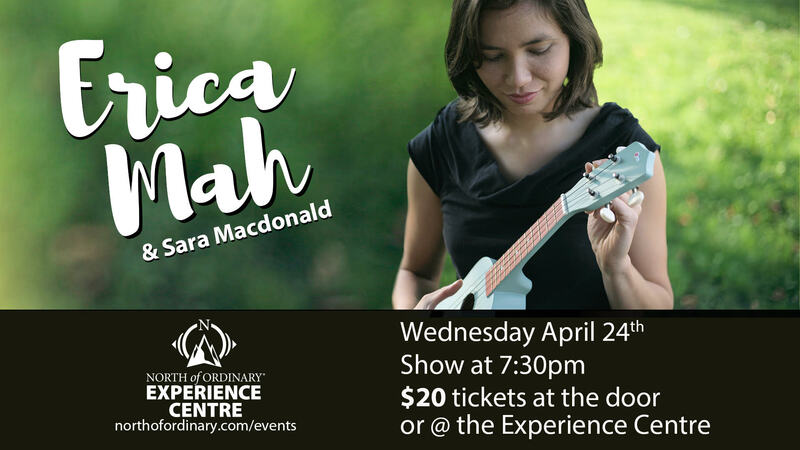 Erica Mah is a multi-instrumental songwriter whose music ranges from elegantly finger-picked acoustic guitar, to old-timey waltzes on the piano, to indie pop ukulele tunes. She will be performing with her husband and cellist, Darcy McCord, adding a classical flair to this poetic folk duo. Sara MacDonald is the songwriting and vocal force behind the Whitehorse folk rock band, “The August Arrival”. In this intimate solo performance, she will be debuting new songs on acoustic guitar.